We’ve all been the mom, struggling to finish her shopping, or just book it out of the store, while her kid loses their mind-kicking, screaming, melting down. And we’ve all been witness to these events as they happen to other moms (and dads) around us. Let me share two stories. “Fine. You want to act like that? We’re leaving. I am tired of this rotten behavior. I do not want to be around you when you act like this, Let’s go. Get up off the floor. I’m leaving, NOW!” I shouted at Avery in the Toy aisles at Target. She didn’t see me as a mom, having a rough day, with a kid who was also having a rough day, trying my best to teach my child that we can’t act like jerks and get what we want. She saw me as a mean mom, being mean to my poor, sweet little girl. She (somehow) didn’t hear the screams when I put our items back on the shelf after I was told I was “stupid” because I wouldn’t let my “little kid” buy two of the same kind of cereal just because the boxes had different pictures on them, and made her choose one. She didn’t see that that “little kid” kicking the shopping cart and spilling my coffee and her water on the floor. She didn’t see the many times I stopped, and calmly tried to diffuse the situation before realizing that there was nothing that could be done, and we HAD to leave. She didn’t see any of that. But, what if she had? Would her judgment have been the same? Women like that one make moms feel like they are constantly under the microscope. Our every move being watched. We often worry more about how the strangers around us are going to react that we second guess our parenting. We give in to the “one more” or we ignore the sass and nastiness because we don’t want to cause a scene. We feel that no matter what we do, it’s wrong. But then there was Debbie. She lost her mind. I mean, it was the worst meltdown we have experienced in all of her 5 years on Earth. It was bad you guys. There was kicking. There was screaming. There was spitting. She threw items down the aisle. A young couple, walking by, looked at the scene with pure panic on their faces, and they quickly made their exit to sporting goods (There’s some birth control for you, kids! No charge! You’re welcome!) I did my best to diffuse the situation. But there was nothing I could do. She was too far gone. She said “If you don’t buy me this I am going to hit you in your face!” and then she did. She hit me in my face!!! And that was it. I yanked her up out of the shopping cart, and tried carrying her out of the store. In hindsight, I should have left her in the cart, because I think you can imagine how hard it is to carry a pissed off 5 year old out of a store that she does NOT want to leave. I saw her out of the corner of my eye and thought “Great, here we go. Just what I need. Someone to tell me what I’m doing wrong.” She was older, a grandmother perhaps. I expected a side eye. Maybe a not-so-quiet whisper to the woman she was with about the “bad mom” with the screaming kid. But Debbie wasn’t one of those Judgey McJudgersons who knows better than everyone else. She wasn’t there to dispense her parenting expertise. She was there to help me. “Let me help you! Here, I’ll get your glasses” She retrieved my glasses from under the table of graphic tees. She put them on my face. And then, she put her arms under Avery and helped me hold her. There we were, standing in the aisle of Target. Holding a hysterical child together. This woman I didn’t know. This woman who had only seen me in one of my worst moments. She was helping me, without judgement. And I cried. I felt so much relief. She saw me in this terrible moment, and she helped. Debbie spoke softly to Avery. She asked her name, she asked her why she was upset and if she knew why mommy was upset. She asked me to put Avery down, and she got down to her level, and held her little hands. She told her that she knew Santa (I believe her.) And that she needed to breathe, and calm down. Then she told Avery something that was so much more for me than it was for her. She said “You know, you have a really good mommy! She’s is doing a good job, you know.” That was what I needed in that moment. That’s what we all need in those moments, right? Reassurance that we are doing a good job, even if we’re at our worst, even if we feel like we’re barely surviving. We are good moms. We are doing our best. Avery was mostly calm, but then remembered her small toy she had left in the cart and started to get upset again. Debbie offered to go back with us to retrieve it, which we did. She then set Santa a text, telling him exactly what toy it was that Avery wanted. But anyway, I thanked her and we headed to the car where Avery immediately fell asleep. She was exhausted. That was why she raged the way she did. She was exhausted. Like that mom you hear yelling at her kids in the checkout. That mom is exhausted, Let’s all try a bit harder to extend some grace to moms, and dads, and kids. Remember that you are only seeing a tiny snapshot of their life. You’re only seeing that one moment, which may be their worst moment. Be kind, be compassionate, be a friend. *Debbie, if you’re reading this, thank you! Thank you from the bottom of my heart. 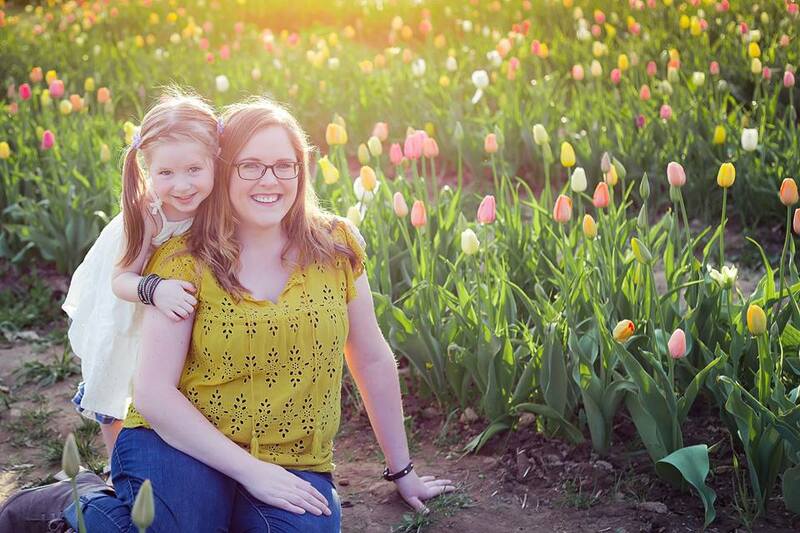 This entry was posted in Motherhood, Parenting, Uncategorized. Ohhh Debbie. You’ve gone and made me cry Debbie. I was crying writing it! Debbie is a saint!! We all need to remember to channel out inner Debbie when we see another parent that needs our help. No judging, simply let them know you are there. Right? If we all just took a moment to realize that we are all doing out best, and extend some grace. Oh. Thank goodness for Debbie. I’m so glad she gave you that moment of relief when you needed it. And the reminder you’re a great mama. Because you are. Andrea Bates recently posted…Saturday Free Write: Welcome Home and What The Hello? I need yo remember to be Debbie too. So glad she was there for you.